The tenant teams are roughly classified into ‘community members’ and ‘project members’ according to maturity of their developing services. 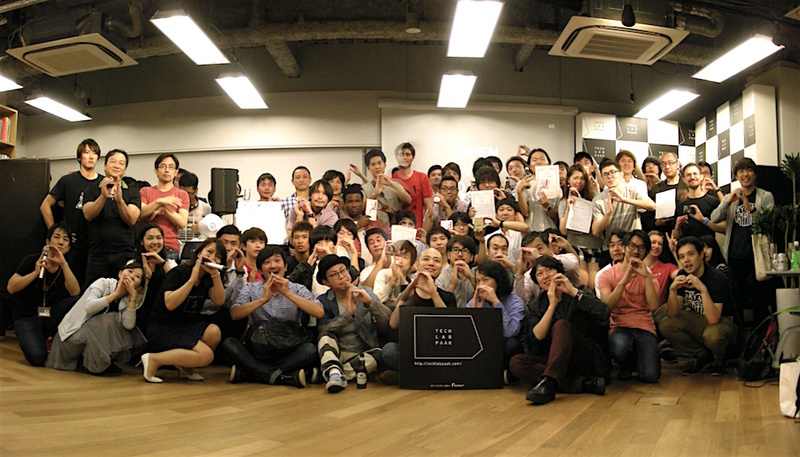 Last week, a Demo Day was held for eight teams from community member and four teams (except one absent) from project members to exhibit a half year’s outcome since they moved in. 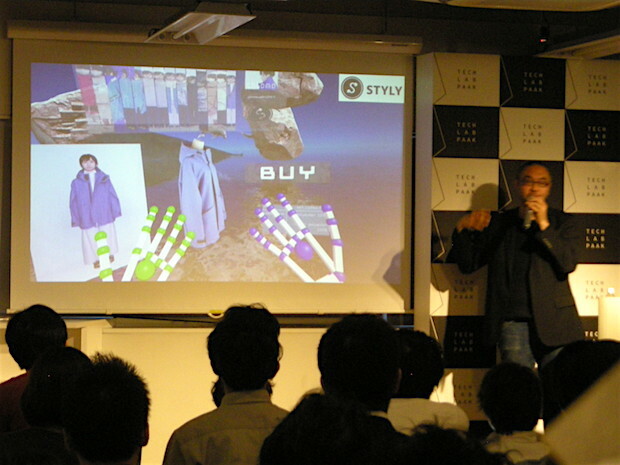 Psychic VR Lab has developed an virtual reality-based online shopping mall named Styly, focusing on fashion items. By expressing the concept of fashion brands leveraging VR, it conveys the appeal of products and increases the customers’ buying motives. It is not easy for fashion brands to implement this service due to labor or cost for creating 3D model data of products or shop design. 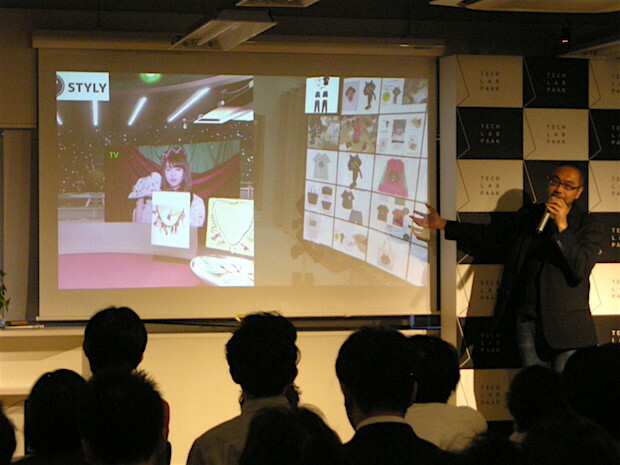 In order to solve this problem, the team had developed a 3D scanner especially for apparel products or a shop builder function on Styly for easy 3D shop creation. 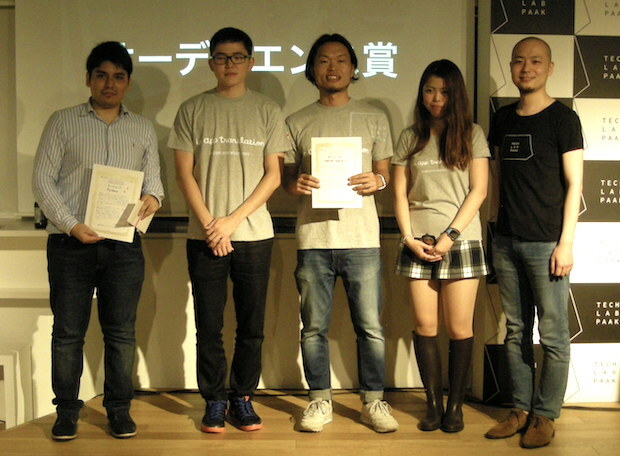 Also the team had been involved in hosting a startup event for fashion-related startups at Fashion Tech Summit this March. During the three months from July, the team plans a trial operation for about 30 fashion brands. Also for general users, an event for trial use will be held and details will be announced at a later date. 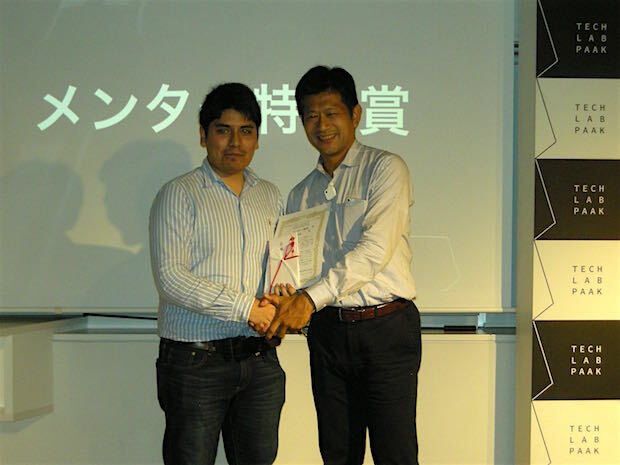 Alberto Okamura, who was born in Peru, once encountered a scene where his friend was forcibly deported to Peru due to irregularities upon acquiring his visa, and that motivated Okamura to solve the problem of visa acquisition. Since Japan’s immigration inspectors are just public employees who basically only speak Japanese and the application documents are written in Japanese, it is difficult for foreigners who cannot understand Japanese to communicate using this language. Okamura had himself worked for Tokyo Regional Immigration Bureau, and been involved in visa-issuance work. Leveraging the experience obtained there, he developed Residence. The service displays questions that are required for terms utilized upon visa acquisition in the users’ native language, and outputs them as a form written in Japanese. 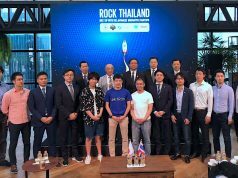 In addition, it supports identify verification completed by Skype, proxy application by administrative scriveners and delivery of the issued visa to the users’ address for just 3,000 yen (about $29) but only document creation is free of charge. Currently, 700 individual and 35 corporate users are registered. 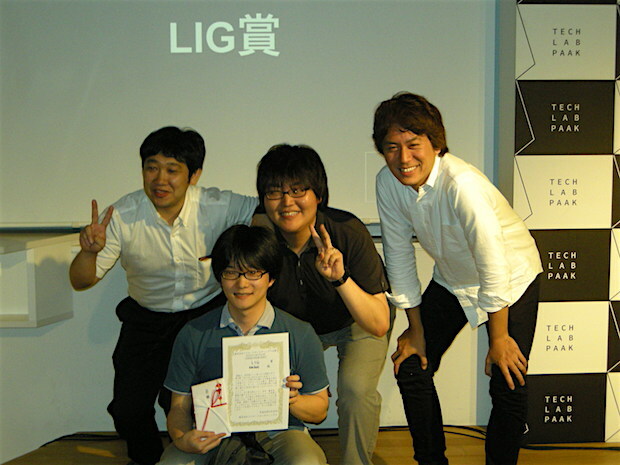 Six years hence, in 2022, it is said that one in 30 workers in Japan in his / her prime will be a foreigner. 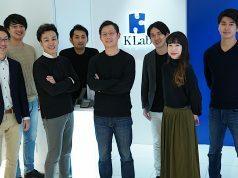 The team aims to provide additional services based on information obtained when acquiring the visa, such as job introduction in Japan, credit service for bank loans or visa acquisition in countries other than Japan. 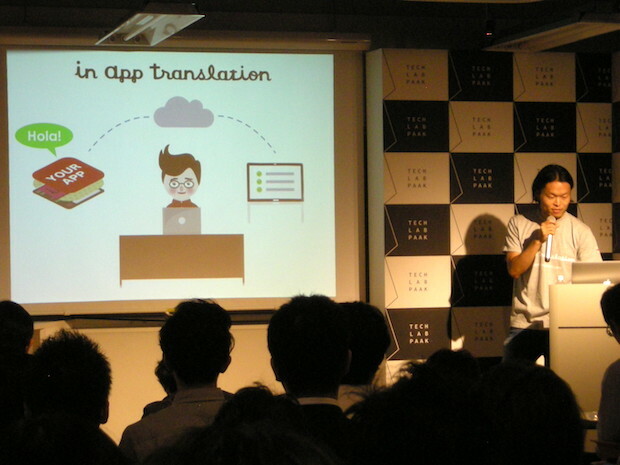 ‘in app translation‘ supports iOS app developers to easily construct a multi-language environment for apps. By controlling menu contents on apps by web-based dashboard, it saves on the labor involved in rebuilding apps for passing the screening by Apple. 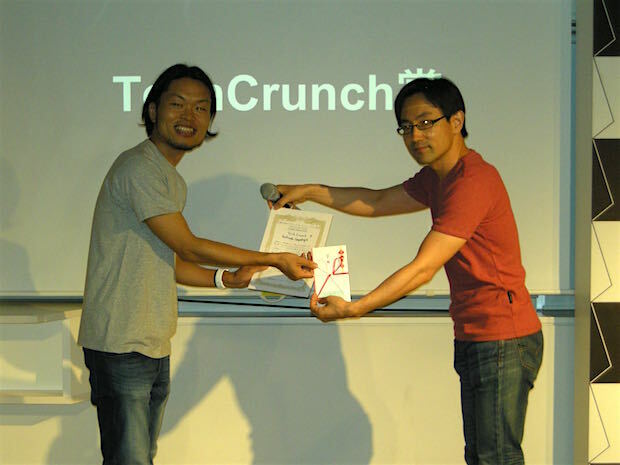 If errors in translation are found after the launch of apps, developers can smoothly handle corrections thereof. Moreover, it enables analytics of language needs or receiving feedbacks on translation corrections from users via the dashboard, so that app developers can use them as reference upon deciding language priorities for multi-language development of the apps. 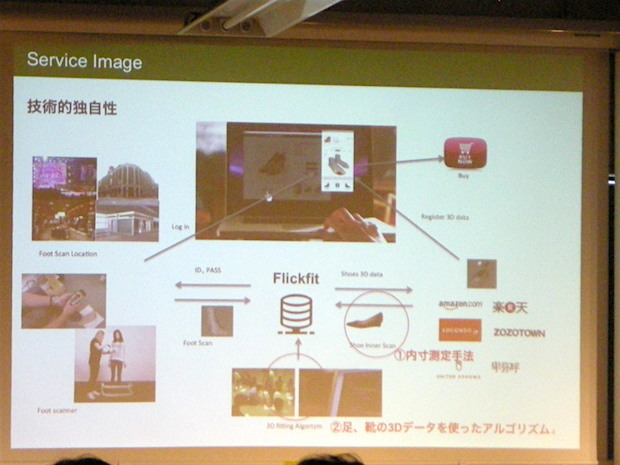 FlickFit is an online virtual fitting service of shoes (especially focusing on shoes like pumps at this time). After registering the foot shapes as 3D data in advance, and users can confirm the fit feel prior to purchase by matching 3D data of feet and shoes. 3D data of shoes are acquired by templating with foaming material, not by the wooden last. 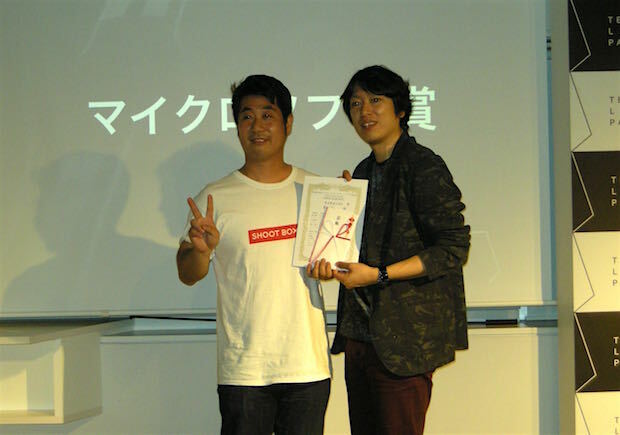 The team has been developing the matching algorithm for 3D data of feet and shoes jointly with Chiba University, and currently improving it by joint experimentation with two third-party companies. 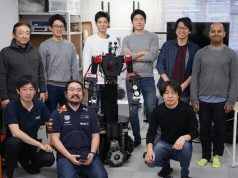 Since a specialized scanner is used for 3D data acquisition of foot shapes, users have to go to certain scanning points for data registration, but the team is also developing another app for easy foot-shape data acquisition just by image photographing. The team expects needs from Omni-channel retailing, and explores the possibility of global expansion. 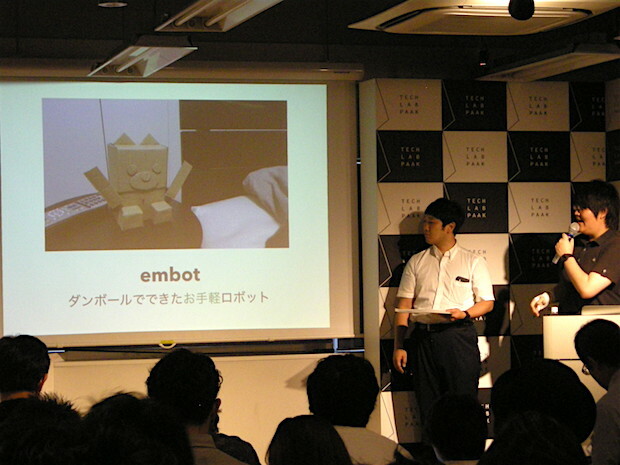 The name of Embot comes from ‘emotional robot.’ Inspired from the fact that no matter how smartphones have become widespread, there are still wall clocks or wall calendars in the world, so the team developed a ‘tangible’ robot which can be easily made from cardboard. 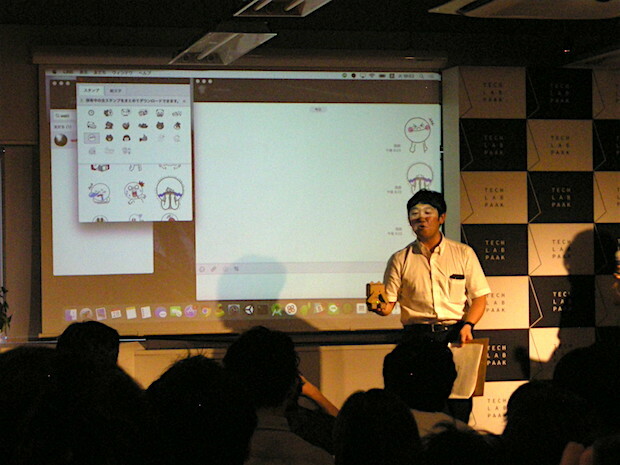 Through use-case investigation, the team has been developing embot for students as educational material at this time. 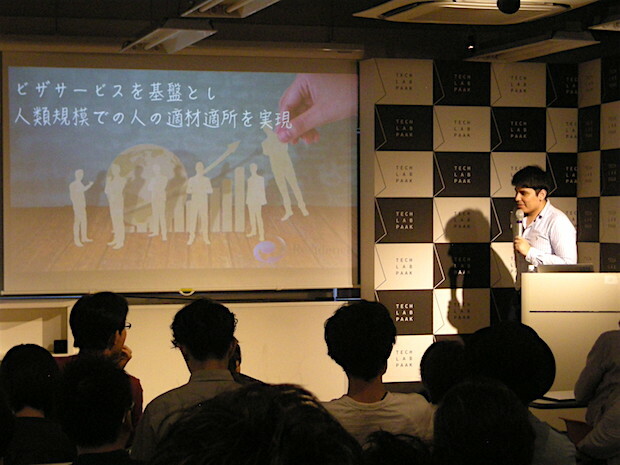 As programming education system for junior high / high school students was enforced by Japan’s Ministry of Education, the team has been receiving inquiries from private schools and aims to construct a B2B (business-to-business) service which satisfies educational needs. Since operation log is accumulated on the server, it enables grasping of the learning progress status, and is also preparing a platform to provide customized learning contents for each student. 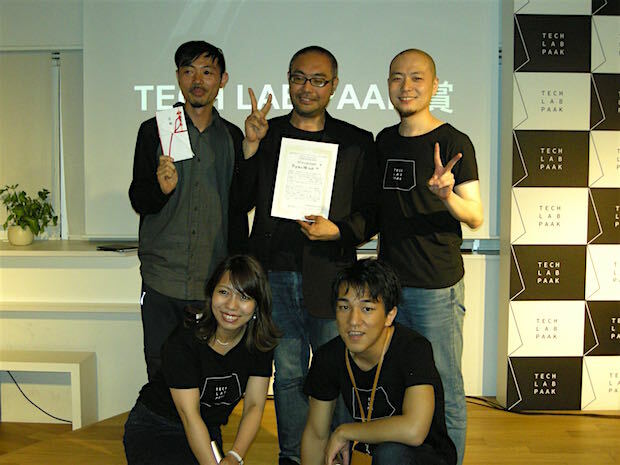 TECH LAB PAAK has started accepting the 5th batch of tenants, and will start recruiting the 6th membership batch soon. From the 6th batch, new incubation courses focusing on VR will be established through cooperation with media, funds and manufacturers. 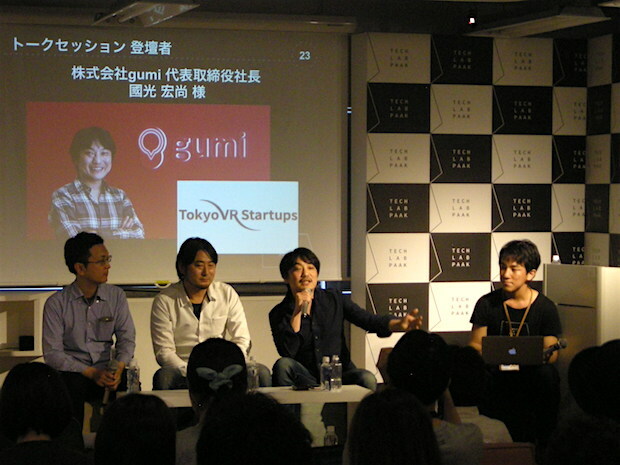 In commemoration of this, a panel discussion was held during the Demo Day, having Hironao Kunimitsu (founder and CEO of Gumi), Minoru Hirota (Editor-in-Chief, Panora Virtual Reality Japan) and Kenji Takahashi (founder of ‘Ouka-Ichimon,’ Oculus-focused information website). One can apply to the 6th batch regardless of whether a corporation or an individual, and presence / absence of products as well as the previous batch. Check out the details at the TECH LAB PAAK website.